The cause of excessive hair growth varies. Common causes include: genetics, endocrine disorders, polycystic ovary syndrome, hormones, steroids, and birth control pills. Excessive and unwanted hair growth can occur in both men and women. Women often want to get rid of facial hair, or are just tired of shaving their arms, legs, armpits, and bikini line. Men come to get rid of hairy chests and backs. Razor bumps will no longer be a problem once ingrown hair is eliminated. For most patients 6-8 monthly treatments, however, occasionally if patients have hormonal issues, they may require more treatments - there is no limitations to the number of treatments, but there is limited frequency - no more often than every 4-8wks. Destroyed hair is removed permanently, but hormones may stimulate new hair production, so touch up treatments are usually needed every 3-5 years. 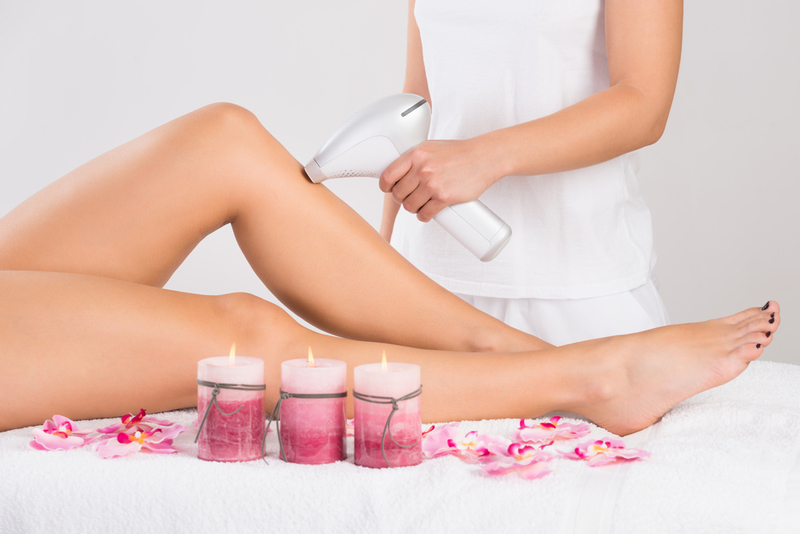 How much pain is involved with laser hair removal? There is mild discomfort associated with the treatment secondary to laser temperature, but our automatic cooling system makes the treatment less uncomfortable. Pain also depends on the area being treated, with Brazilian bikini being most uncomfortable, but still easy tolerated.